Launching online store you can quickly increase your income without considerable time and money investments. The given design is a bright example of quality designer's work. Slider and banners demonstrate the items on sale and discounted store offers. Featured products come with descriptions, prices and Add to cart buttons. Navigation is realized via drop down menu and footer links. 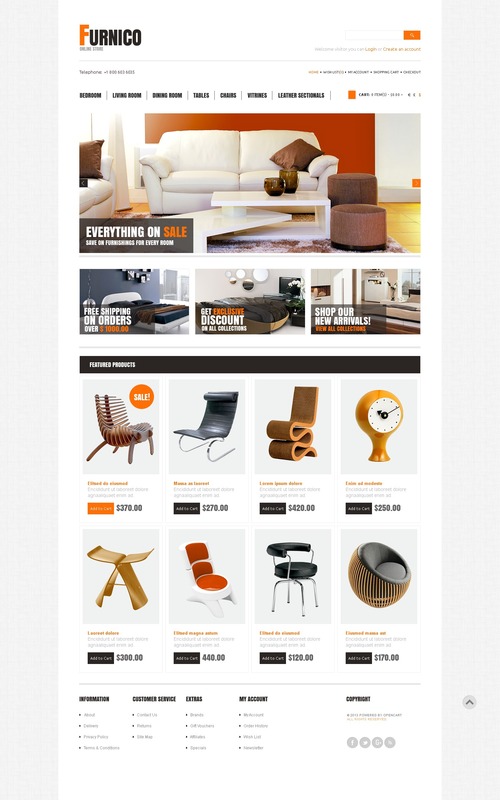 This theme is custom-made for home interior, exterior, home decor, furniture, modern furniture, furniture shop, home supplies, and business websites.